Schools were not free until 1891. Up until then children had to pay to go to school. Queen Victoria's reign brought many improvements to the education of children, especially for the poor children. The Victorians came up with the idea that all children should go to school, and they checked to make sure the schools were up to scratch too. They were the first people to ask whether it was right to allow children to work. They introduced laws saying what you could and could not expect children to do. 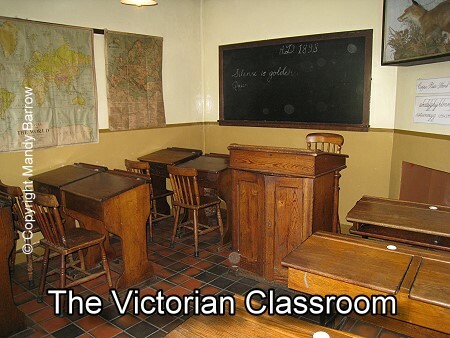 Who went to school during the Victorian times? Did rich children go to school? Where did poor children go to school? When did attending school become mandatory? What did the schools teach? Did Victorian children use a calculator? 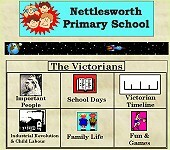 What was a Victorian School Day like? 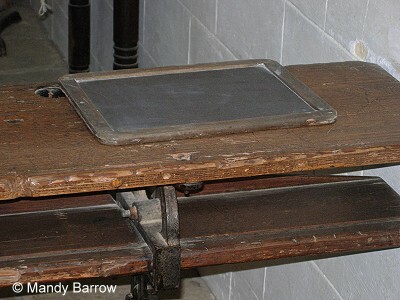 Why did Victorian children write on slates? Did Victorian children use a pen? In early Victorian England, most children never went to school at all and grew up unable to read or write. Instead they were sent out to work to earn money for their families. Only the upper and middle class children went to school. Children from rich families were taught at home by a governess until they were 10 years old. Once a boy turned ten, he went away to Public schools like Eton or Harrow. There were very few schools available for girls, however, until near the end of the Victorian time. Wealthy girls were mostly educated at home. Poor children went to free charity schools or 'Dame' schools (so called because they were run by women) for young children. They also went to Sunday Schools which were run by churches. There they learnt bible stories and were taught to read a little. The Victorians soon realised that it was important for people to be able to read and write and education became more important. The Church of England became active in the field and erected 'National Schools' which taught children reading, writing, arithmetic and religion. In 1833, the government awarded grants of money to schools. Not everyone who ran the schools were able to read themselves so the standard of education was not very good. 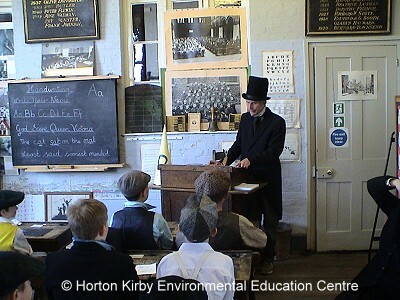 In 1844, Parliament passed a law requiring children working in factories be given six-half-days schooling every week. 'Ragged Schools' were set up to provide free basic education for orphans and very poor children. In 1870, Parliament passed the Forster's Education Act, requiring all parts of Britain to provide schools to children aged 5 to 12. However, not all these school were free so many could not afford the 'school's pence' each week. As it was not mandatory to attend school many children still didn't go to school. They worked and earned money for the family instead. It wasn't until 1880 that schooling became mandatory. All children had to attend a school until they were 10 years old. In 1889, the school leaving age was raised to twelve, and in 1891, the school's pence fee was abolished and schools became free. There could be as many as 70 or 80 pupils in one class, especially in cities. The teachers were very strict. Children were often taught by reading and copying things down, or chanting things till they were perfect. 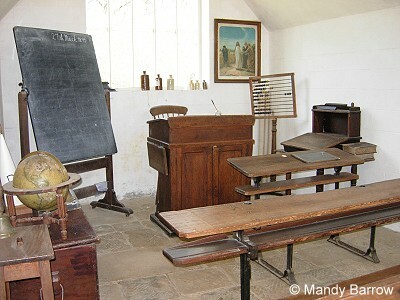 In many Victorian schools pupil-teachers helped with the teaching. The pupil-teachers were boys and girls of 13 and over. After five years of apprenticeship they could themselves become teachers. 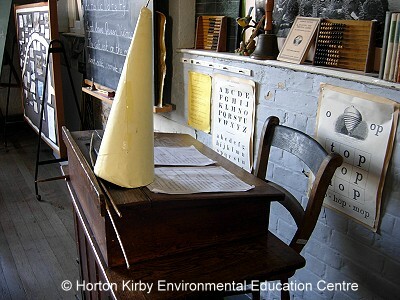 Typical lessons at school included the three Rs - Reading, WRiting and Dictation, and ARithmetic. In addition to the three Rs which were taught most of the day, once a week the children learned geography, history and singing. The girls learned how to sew. Schools did not teach music or PE in the way that schools do now. Children sometimes did 'drill' in the classroom. Drill was a series of exercises that were done by the side of a desk. 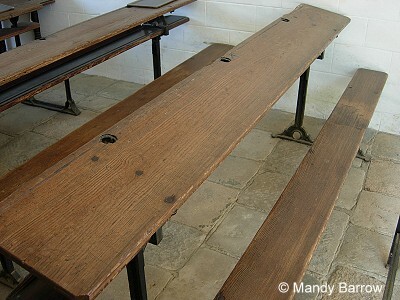 The children sat on hard wooden benches or chairs. Can you see the holes for the ink pots? For maths lessons, children used frames with coloured wooden beads, much like an abacus. Children learned how to multiply and divide using this apparatus. The day usually began with prayers and religious instruction. Morning lessons ran from 9a.m. to 12p.m. Children often went home for a meal, then returned for afternoon classes from 2p.m. to 5p.m. Paper was expensive. Children usually therefore wrote on slates with slate pencils. After a lesson was completed, and the teacher checked their work, the students cleared their slates for the next lesson. Did Victorian children use pens? 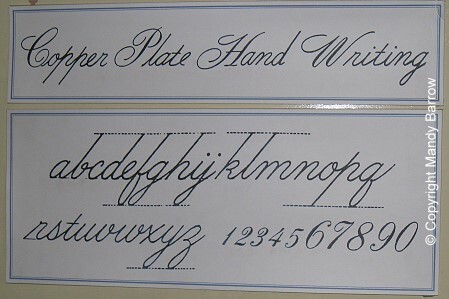 Older children learnt to write on paper. An 'ink monitor' distributed ink to the children, who used pens made out of thin wooden sticks with steel needles. The pen had to be dipped every few words or it would run dry. School Life In The 1800s.